Aww so cute! Your first flight with your baby!There are a few things you can do to support your young flyer to ensure you all have a pleasant flight. There are a few things you can do to support your young flyer to ensure you all have a pleasant flight. Massage baby EVERY DAY for a minimum 3 days before flying. This includes their head, back and tummy. Massage their scalp gently like your washing their hair, then move on down their face like you are giving them a gentle facial. This help to clear any congestion in their head and sinuses and minimise pressure build up whilst in the air. You can repeat this on the flight too. Also go up and down their spine, it’s very soothing and relaxing. Finally gently massage their tummies working from the right upper groin area up towards their diaphragm across to the left then down towards their left upper groin area. This is to support the passage of gas and stools. Bloated or constipated bellies can get upset in the air and cause discomfort. 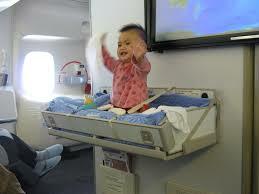 Feed your baby during take off and landing. This helps to comfort them and helps to equalise pressure in their ears minimising discomfort and pain. If they are asleep or do not want to feed offering a dummy or your finger may help. I have found gently pressing my daughter’s ears in a cupping action to create a vacuum has helped too. I cover her ears with my hands then release and keep repeating until we are level in the ear. She quite likes it. Babies one and under are entitled to a bassinet. Usually on long haul flights. Be sure to request one. It takes the pressure off your legs and gives you a break. You must keep moving your legs up in the air to minimise chances of DVT’s. So there is very little if any Evidence based research to support my advice, but they are tried and tested methods by my family, and my patients, all with positive feedback. My little girl has flown three times since writing this blog and not once has she cried on her flights. She has screamed for attention, but hasn’t cried due to pressure induced pain! Enjoy your holiday! It’s so lovely flying with your baby!